MG Midget and Austin Healey Sprite front anti-roll bar. The PME anti-roll bars are designed to help control the transfer of weight under cornering and are developed to offer a direct replacement for the standard component. The larger the diameter the stiffer the car will be come, meaning weight transfer is slower. 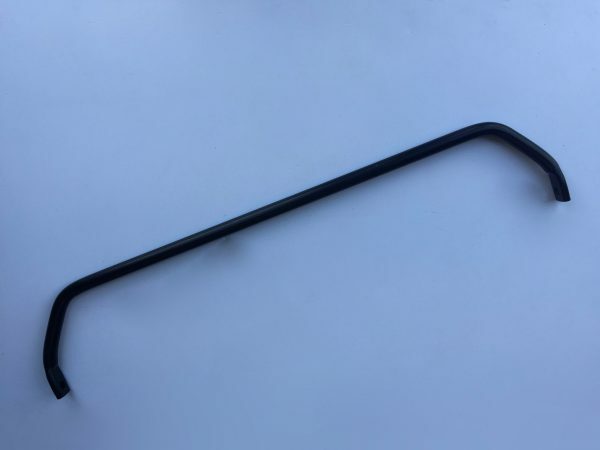 Our 11/16″ anti-roll bar is designed for more competition useage and is used widely by racing and hillclimb competitors. We carry full stocks of all fittings for the larger roll bars including bushes and clamps.